The element of Earth is called sa in Tibetan. It is symbolized by the shape of a square and its color is yellow, or golden. 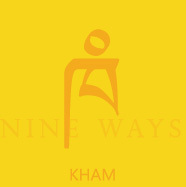 The unique vibration of this element is the sound ‘KHAM’. It is associated with the direction East. From the Yungdrung Bön point of view, East is one of the cardinal directions but it is also associated with ‘the front’. For instance, when looking at the image of a deity, East is always considered the front of the deity. Earth provides solidity and stability. Environmentally, our dependence upon the element of Earth is obvious since this is the name of the very planet that we live upon. Additionally, it is the soil in which we grow our food and the foundation upon which we build our homes. In the Yungdrung Bön tradition, one’s relationship with the environmental element of Earth is not only with the form. It includes the spirits of the element itself as well as seeing the land as a living being. Before beginning construction of a building, it is important to examine the characteristics of the land. Traditionally, it is seen as a turtle. If you build upon the turtle’s ‘head’, then the spirit of the land will ‘die’ and the soil will become barren and empty. It is best to build in the ‘stomach’ of the turtle because here, there is more empty space and no ‘major organs’ will be disturbed. Once the proper location has been determined, it is important to communicate with the spirits of the land that are already in residence at that location and to assure them that you mean no harm and that you apologize for any disturbance that the building causes them. To simply begin digging holes, cutting down trees and erecting buildings would be similar to someone barging into your house and rearranging furniture and knocking down walls without even acknowledging your existence. Therefore, these things are considered important for maintaining harmony. Within our bodies, the element of Earth rules our flesh. More specifically, it is associated with the spleen. The element Earth, along with the other elements, also exist within us in a more subtle form as a kind of wind that ideally moves upwards in our bodies and brings nourishment to our five senses and to our brain. The balance or imbalance of this subtle Earth wind affects our internal experience. When the element of Earth is balanced within us, we feel stable, secure, confident and able to handle whatever comes our way. We are steady and consistent in our relations, our commitments, and our routines. We feel that we have enough support for our life. And we have sustained concentration and diligence in our meditation practice. If Earth is in excess, then we feel lazy, weighed down, and heavy. Our bodies and minds literally plod along. Our thinking is dull and lacks creativity or inspiration. To the extreme, we become depressed and only want to sleep. If Earth has become weakened, we are literally ungrounded. It is difficult to maintain focus on anything long enough to finish it or follow through. We are filled with doubt and find it difficult to make decisions. We feel insecure and dissatisfied. In order to bring the element of Earth back into balance, there are methods such as Tibetan medicine, ritual and meditation practices. There are specific yogic exercises within the Yungdrung Bön tradition which use the focus of the mind together with the breath and movement of the physical body to balance and strengthen the subtle elements within us. To learn more about these yogic exercises see Healing with Form, Energy and Light by Tenzin Wangyal Rinpoche. Additionally, there are other methods available to us. For example, if the Earth element is weakened, spend time feeling the pull of gravity upon your physical body. Sit and meditate upon the image of a mountain. Eat heavier foods and avoid caffeine and being overly busy. Sit still. If the element of Earth is in excess, then get up and move the body. Go for a walk or do other kinds of exercise. Eat lighter more easily digested foods. Avoid the temptation to sleep too much. Spend time with people who are active and creative. Pay more attention to the wind and the movement of things around you. When the element of Earth is balanced within us, we can remain grounded and focused in any situation without getting stuck or losing the ability to change and be flexible. Posted on April 12, 2013, in Five Elements, Uncategorized, Yungdrung Bon Sacred Symbols and tagged Asian studies, Buddhism, five elements, healing, sacred, tibet, Tibetan traditions, yungdrung bon. Bookmark the permalink. 2 Comments. I am looking for the Wind Element. Cant find it anywhere?